Over the years, and since the charity LostCatsBrighton was founded in 2001, the founder Ron Ayres and a committed group of people, all volunteers, have provided a very valuable service for Brighton & Hove City and surrounding areas by way of helping people be reunited with their lost cats, taking in sick, lost or abandoned pets and caring for or rehoming unclaimed animals. The charity is also involved with encouraging and educating people to neuter and care responsibly for their animals, and providing help and support with this. They are often approached by the RSPCA/Police & Council to take in abandoned cats at a moments notice. They have a strictly ‘no kill’ policy and would only ever put a cat down if it was in pain and no hope of recovery. They rescue and rehome on average between 150 to 200 cats per year. 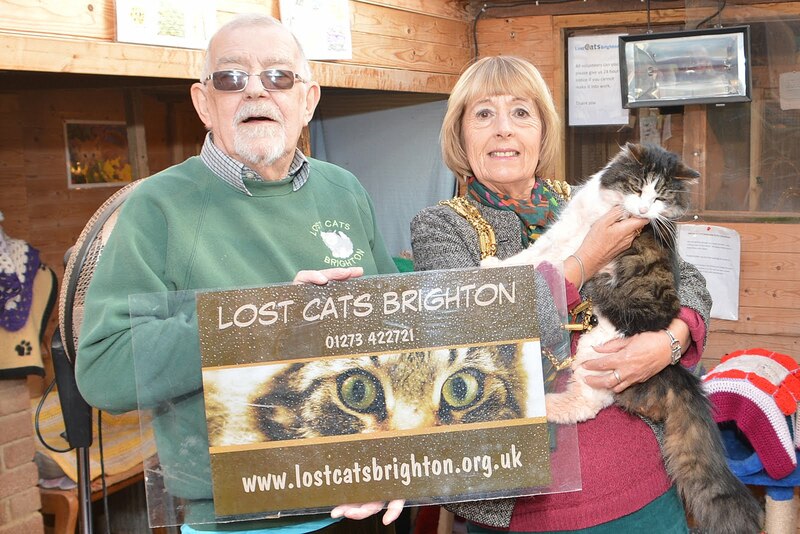 Lost Cats Brighton is currently based in rented accommodation with a very understanding landlord. However for the future of the rescue and rehoming centre they need to secure a permanent base. Ron the founder, is now 77 years of age and wishes that his charity will continue long after he is gone, and this is why he is appealing for funds to purchase outright a new base. You can visit LostCatsBrighton at their website here and find out about their work. Well done to Lynda Hyde for supporting this wonderful charity, who were so kind to me when my 14 year old cat went missing, and then a year later supplied me with my wonderful Merlin, keep up the good work Ron.